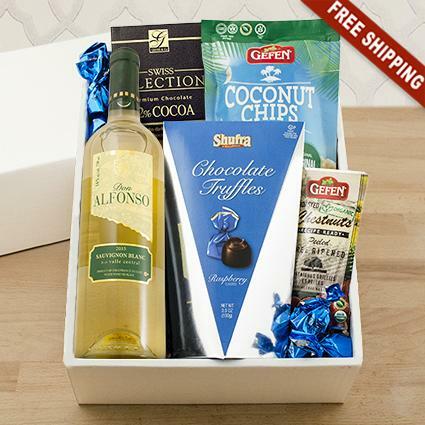 Sauv Blanc, truffles, chocolate and crunchy snacks - a great way to enjoy Passover! Don Alfonso Sauvignon Blanc, culled from the Valle del Maule in Chile, is said to have been settled by the descendants of Don Alfonso, the 14th century Spanish ruler. This crisp, light white has citrus flavors and hints of grass. Pairs well with full-flavored fish or chicken dishes, salad, or light cheeses.